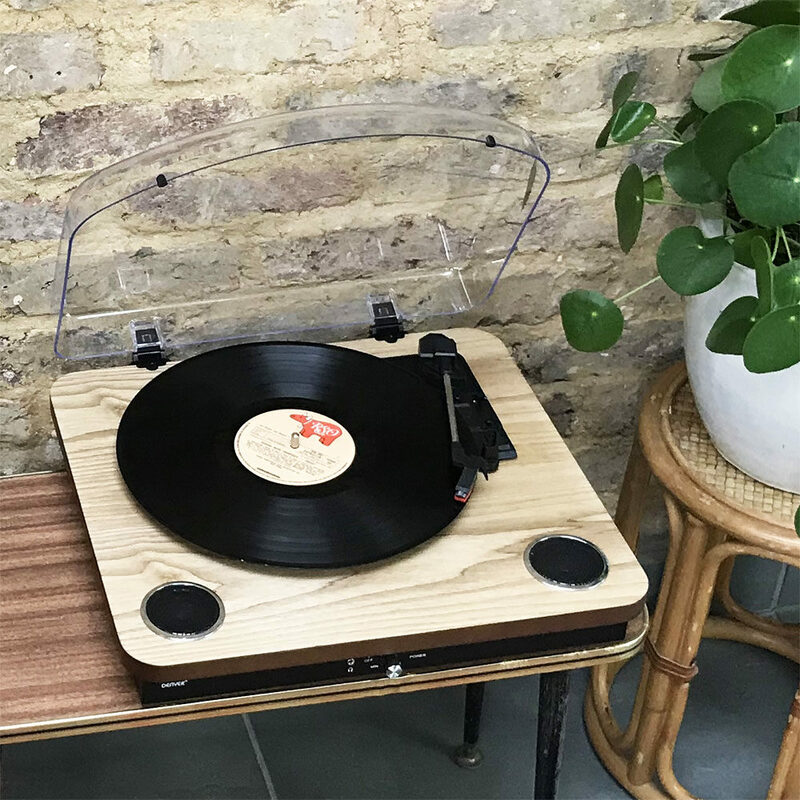 This sleek vinyl record player turntable with stereo speakers, USB connectivity and PC recording software looks as good as it sounds. 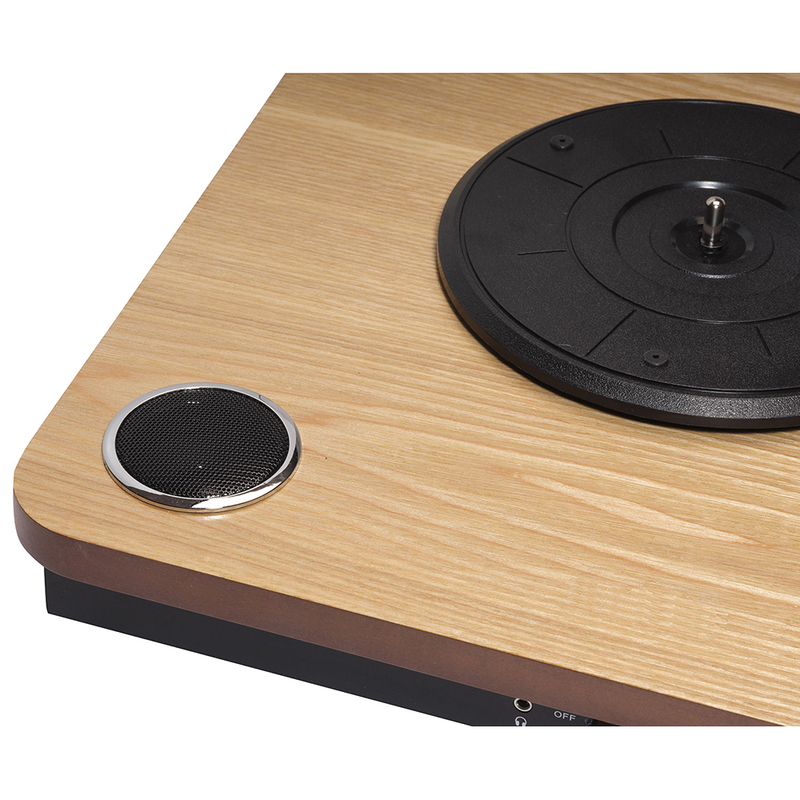 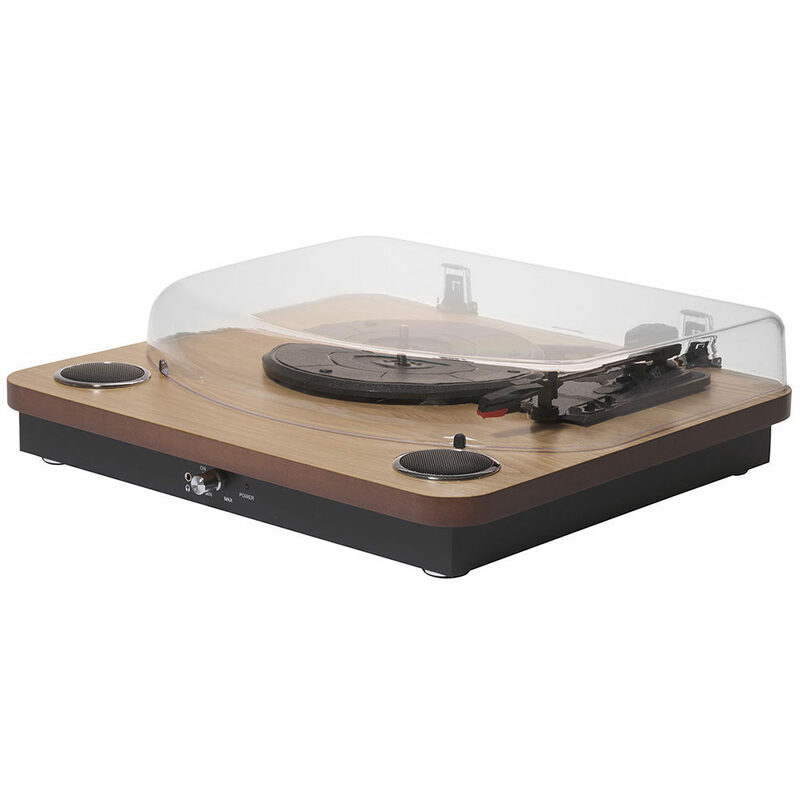 In a wooden finish, it’s light and easy to move and with its built-in speakers it’s ideal to use as a normal turntable in any room. 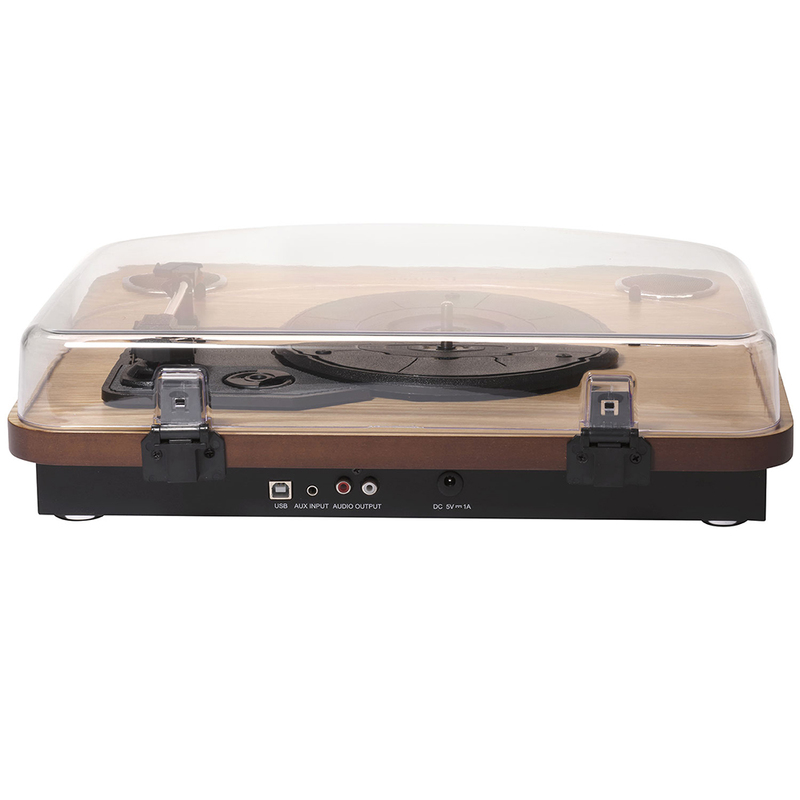 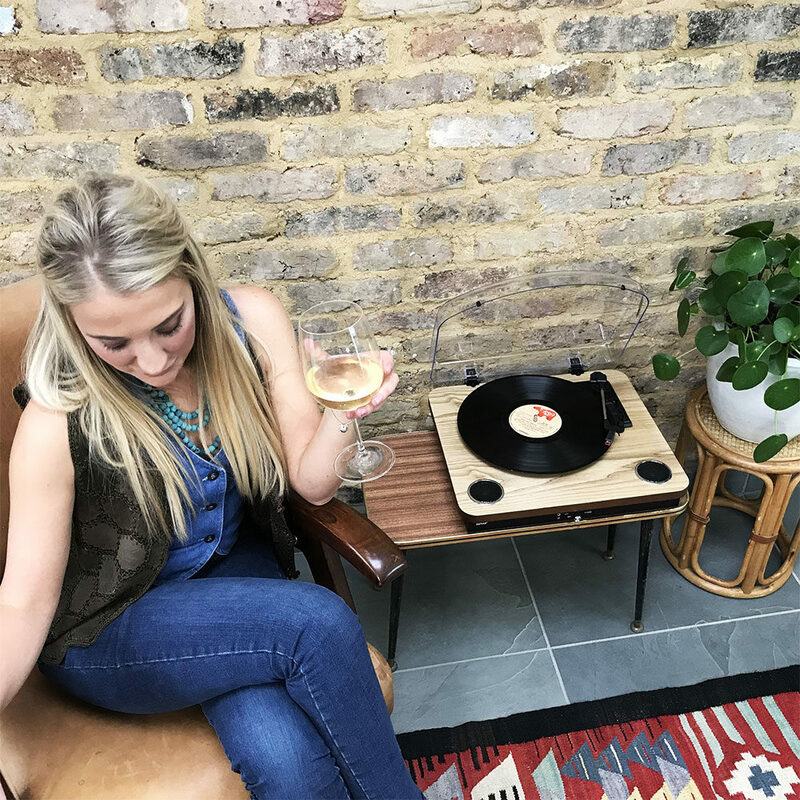 The triple speed option enables you to play 33.3, 45 and 78rpm vinyl and the record will automatically stop once it has finished playing. 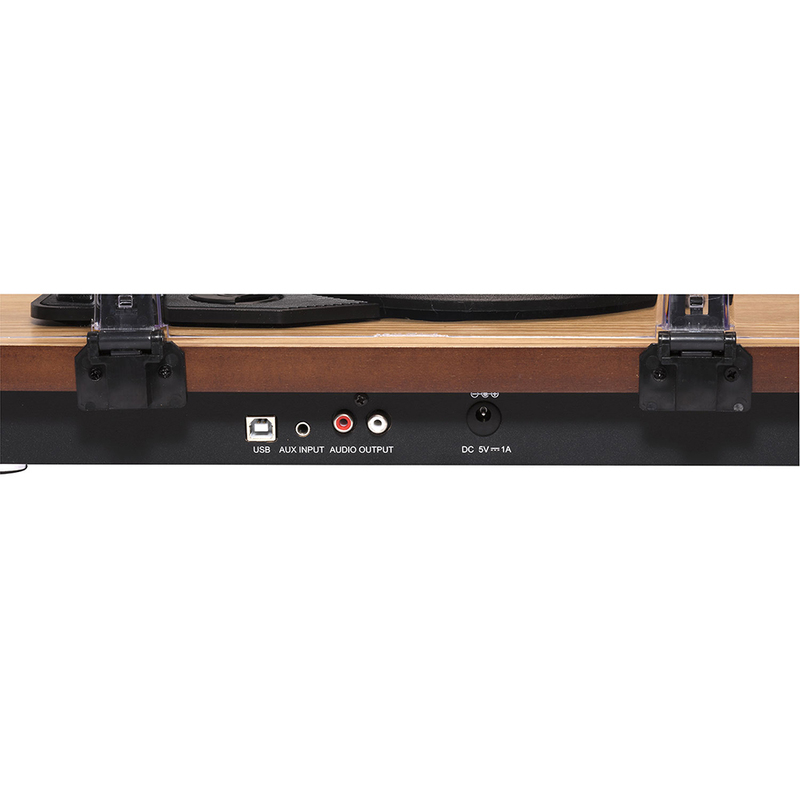 You can record from your LP to your PC using the USB cable and PC software included. There’s a phono connection for external hi-fi or amplifier use and a headphone jack for private listening. 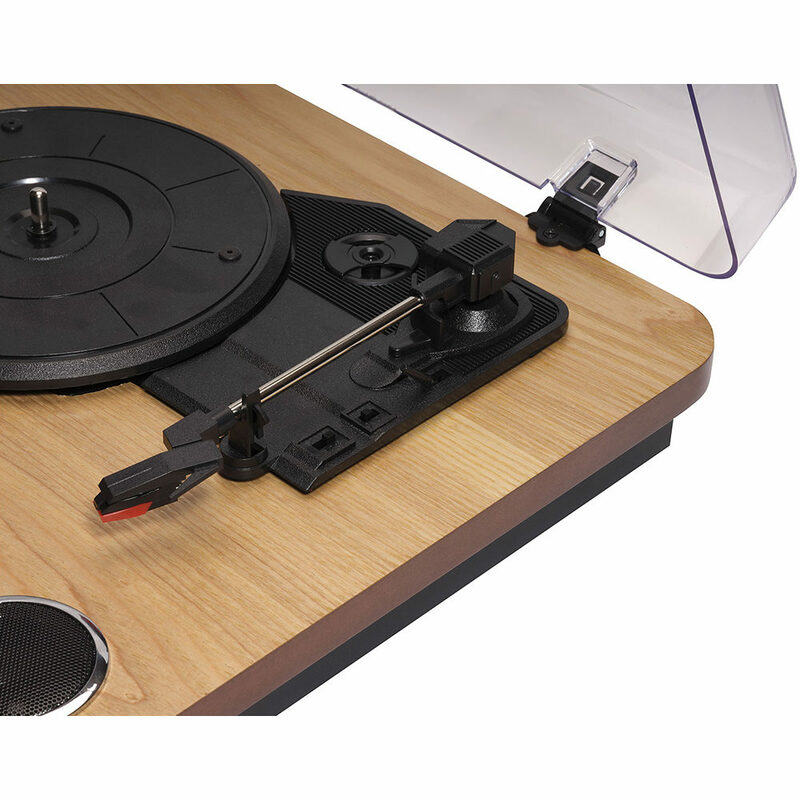 You can even connect it to your PC and record onto MP3 or WAV files. 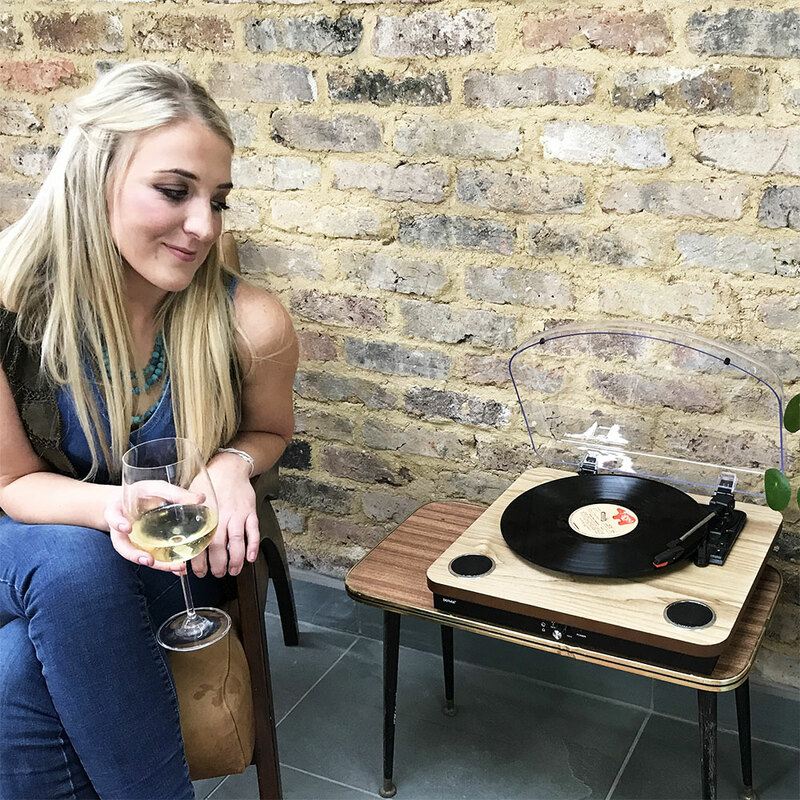 With two built-in speakers you can simply plug in and play your vinyl collection wherever you are. 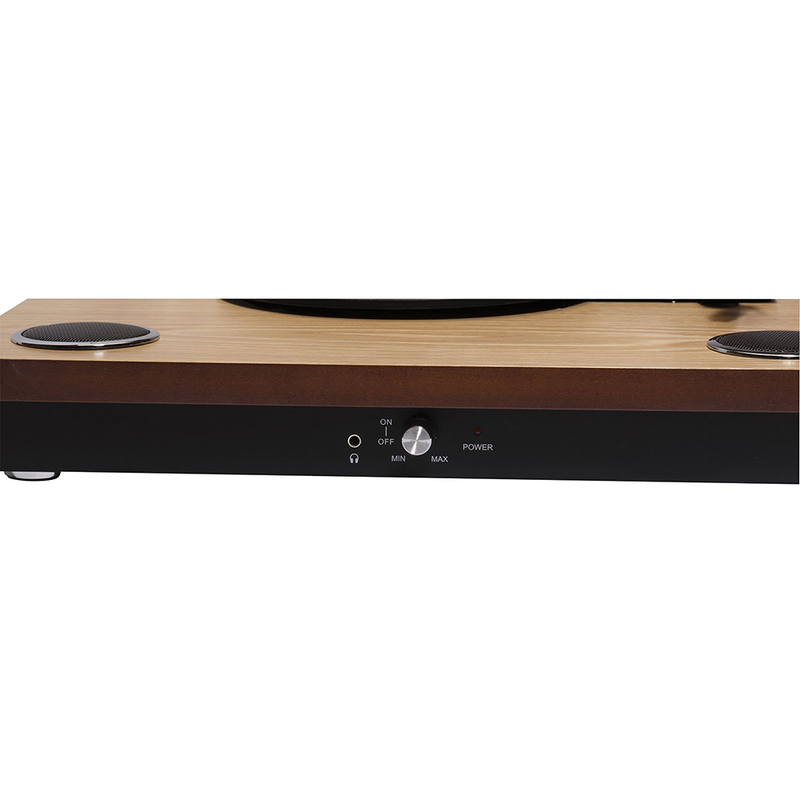 If you want to enhance the sound further use the RCA output to connect with your hi-fi or external amplifier.